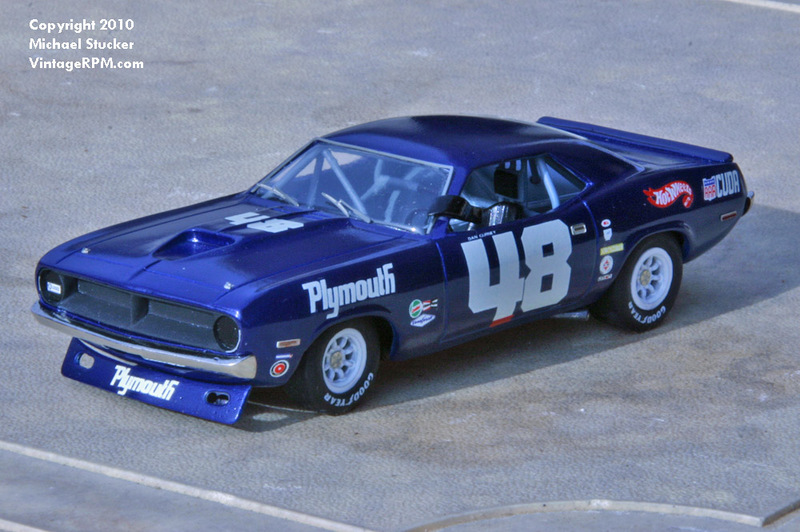 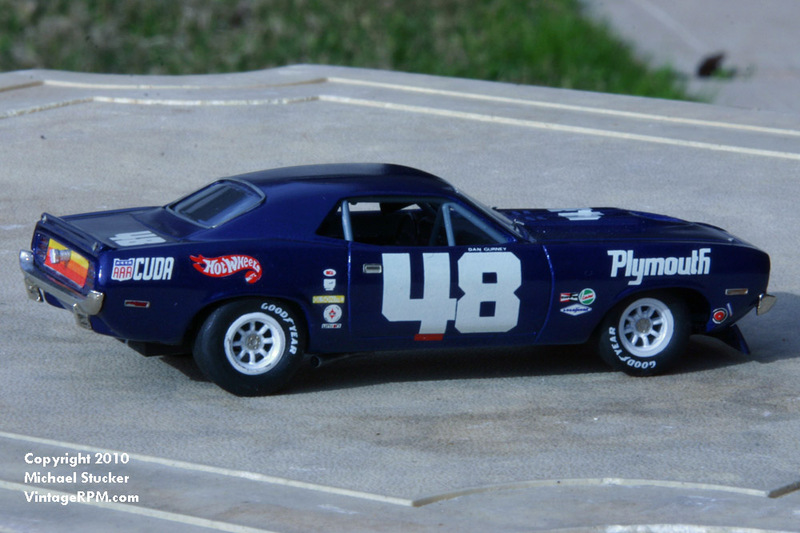 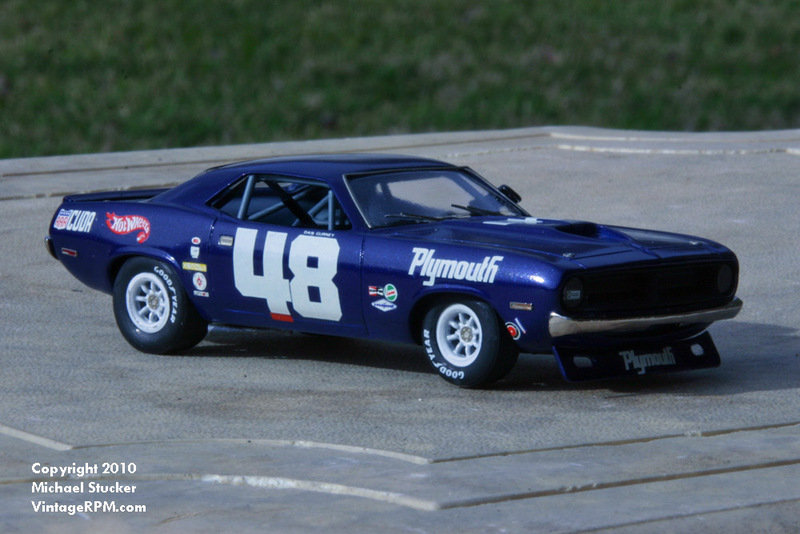 This is a model of Dan Gurney’s last Trans-Am racer, as he retired from racing in 1970. 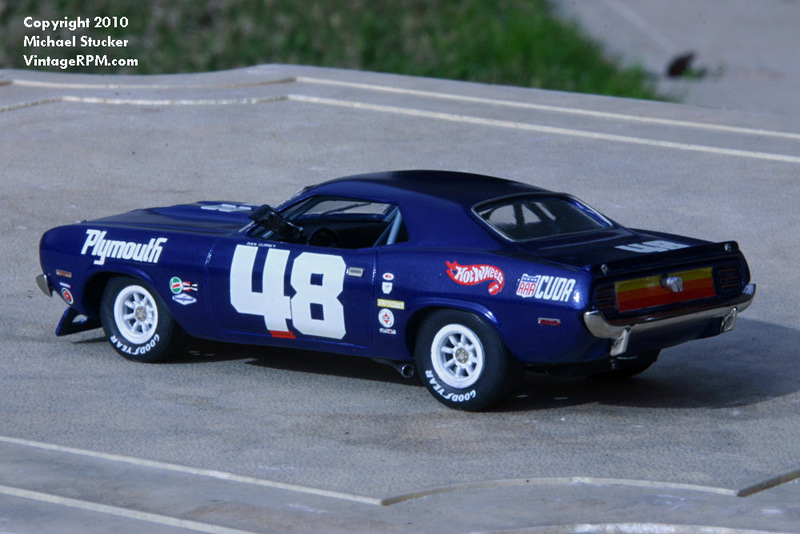 Kit is built box stock except for the addition of a Tech inspection sticker on the right headlight cover, which is from Microsport Engineering decal sheet. 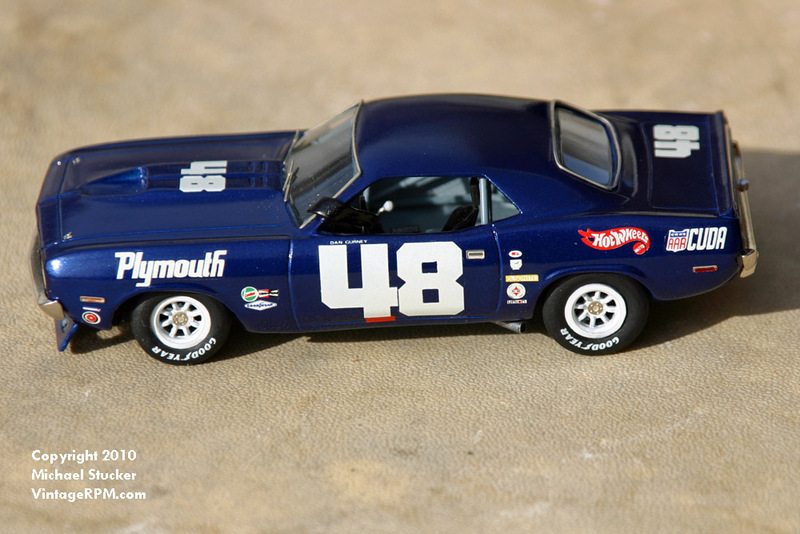 Body color is Royal Blue Metallic from MCW.